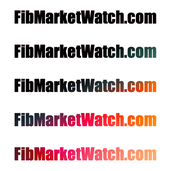 About me FibMarketWatch.com strives to build a COMMUNITY devoted to Wave Theory and Fibonacci Technical Analysis (FTA) which will enable members to make profitable trades on a consistent basis. Currently, trying to build website and application. BINANCE:APPCBNB is a STRONG BUY For Educational purpose (Fibonacci Theory). ENJBNB is a Strong Buy! Entry Now! Primary Wave 3 is about to begin! BINANCE:ONTETH is a Strong Buy! Analysis Method: Wave Theory & Fibonacci Wave Position: Micro-wave 3 Will update. HYG remains a strong short!